Within is a niche interior architecture and design practice based in Perth, Western Australia. We are passionate about designing innovative, bespoke and ambitious interiors that improve our client’s everyday lives. We take pride in every part of our work and ensure that each design we undertake creates a unique space that meets the needs and desires of our clients. We are problem solvers. We are story tellers. We are creators. We are excited by what good quality design can do. And most importantly we love using design to tell an individual story, to make a house a home, and a space a place. Our design ethos centres around the four pillars of creativity, timelessness, adaptability and sustainability. Using these ideals as our philosophy we merge functionality with aesthetics to achieve results that feel exceptional. We strive to deliver projects that are designed outside the box, but within time and budget. Retro/Scandi? Vintage? Contemporary? Perhaps a mix of old and new? Anything is possible when you’re in capable hands! I am a qualified Interior Designer and Decorator catering for both the residential and the commercial/hospitality fields. With an eye for colour combination and fabric selection, as well as a passion for finishes and furniture, I create interiors that are beautifully arranged, combining all elements to create a unique result. Design is my passion and this sets me apart from the average designer. My proposals are tailored to suit my clients' budgets and tastes, making their properties truly special. Take a step now towards a beautiful home or business that reflects your personality in a way you never envisioned! Turner Interior Design is an Interior Architecture Design service specialising in the residential renovations and new builds. Whether the requirement be for the full interior design for a new build, an existing home renovation or just some new layouts, finishes and furniture selections Jennifer's experience covers all that is needed for any home improvement requirement. Trager Kitchens and Interiors focus on residential interiors and project coordination and also specialise in kitchen renovations. Trager provides a range of services from kitchens, bathrooms, home cabinetry, soft furnishings, design consultancy, furniture sourcing and installations to project co-ordinating extensive renovations. 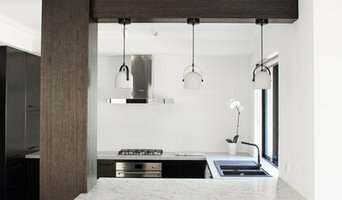 A boutique Perth-based interior design agency, Collected Interiors creates real homes styled for living and enjoyment. Taking our inspiration from modern life, history, innovation and works of art, we are passionate about interior design and skilled at creating all kinds of styles. Whether you gravitate towards modern, classic, mid-century or eclectic, we will design a home you will fall in love with. 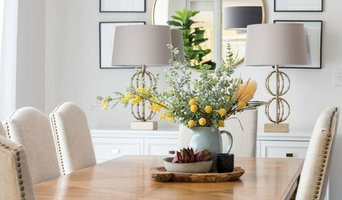 We take our time to get to know you and how you like to live and use your space, and pride ourselves on offering friendly, professional service and advice to give our every client a perfectly tailored, meaningful and stylish home. 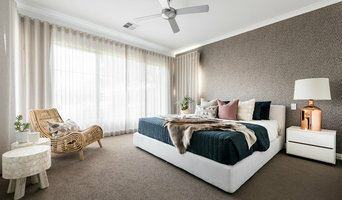 On occasion, interior designers in Attadale, Western Australia will need to subcontract help from other Attadale, Western Australia professionals to help create the perfect look for your home renovation. These may be specialist installers or interior decorators like kitchen designers, architects or landscape contractors. Start by asking yourself what you want your space to become and how it will be used. List your must-haves and decide on your budget. Interior design services can add up fast, so be upfront with potential interior designers from the beginning. Also, pick a designer in Attadale, Western Australia that fits your style. Browse through their interior design portfolio on Houzz and ask yourself if you’d live in any of those houses. If the rooms inspire you, take note of what elements you appreciate. 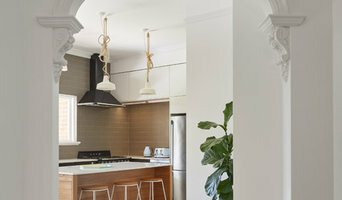 Find residential Attadale, Western Australia interior designers on Houzz. Scroll through this page to find interior designers in your area. Then, browse their design portfolios to see how their work compares to the scope of your project. You can read reviews to see how other homeowners rate their work, and message them directly to to ask any specific questions.